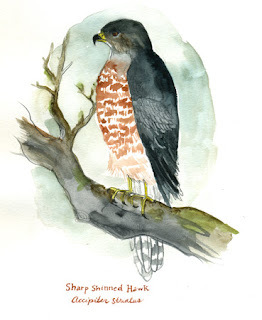 Sharp-shinned Hawks are similar in shape and plumage to Cooper's Hawk (previous post), except they are smaller. 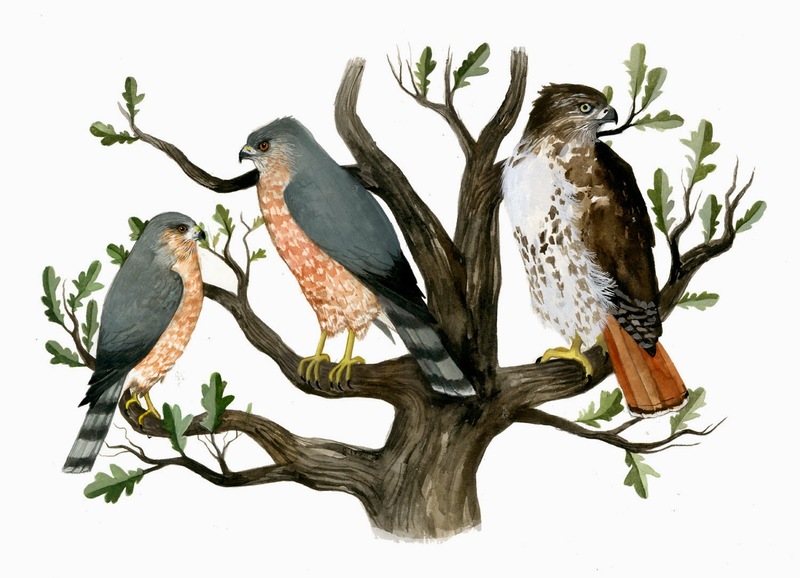 They are our smallest accipiter. Accipiters, as compared to other hawks, are short winged and long tailed.